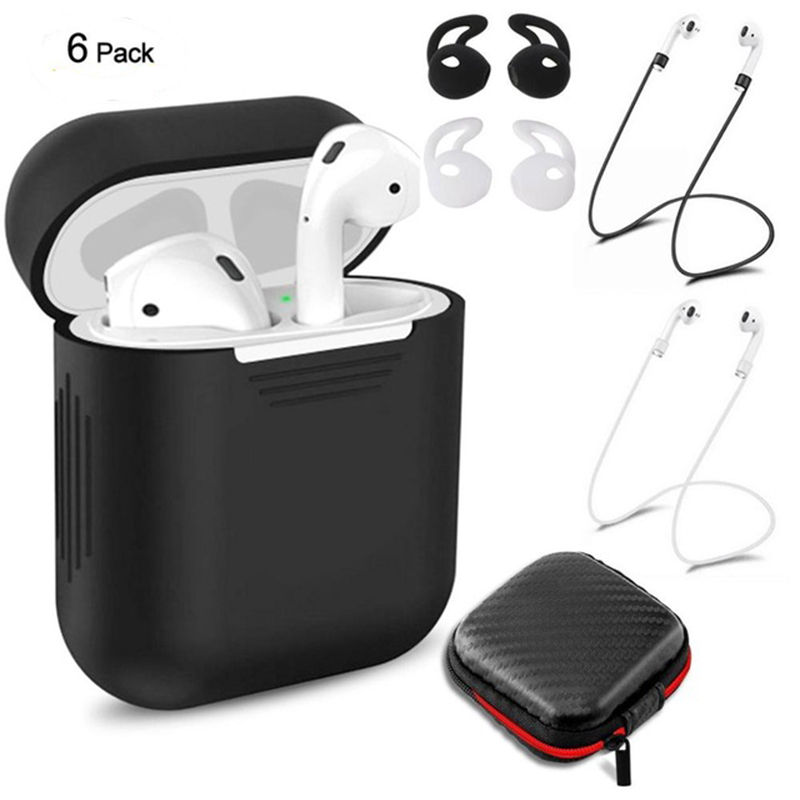 Successfully Added 6 Pcs/Set Silicone Protective Cover & Receiving box & Anti Lost Strap & Ear Cover Hooks for Apple AirPods Case Black Color to your Shopping Cart. Protective Case - Anti-scratch, anti-drop, shockproof. Easy to install and remove. Protective ear hooks - Eliminate hassle of Apple Airpods falling out of your ear. Anti-lost straps - Helps a lot in your daily commuting, walking, running, sports ect. Headset Receiving box - Carrying your for AirPods, ear hooks, anti-lost straps and other small accessories.